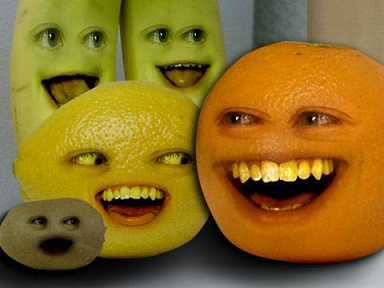 Ranked #58 of the most subscribed comedians on YouTube, The Annoying Orange is the series about the everyday life of a very aggravating citrus. Complete with weird teeth, big eyes, no nose and squeaky voice, this comedy will have you laughing like a kid again. Most episodes tend to get repetitious, beginning with an interrogation of an unsuspecting guest and ending in the same violent massacre of fresh produce. Childish, sure, but the concept almost never gets old. Check it out for yourself. New episodes premiere every Friday. This is perhaps the most famous Annoying Orange webisode. If you don’t like this one, chances are you won’t like the rest.